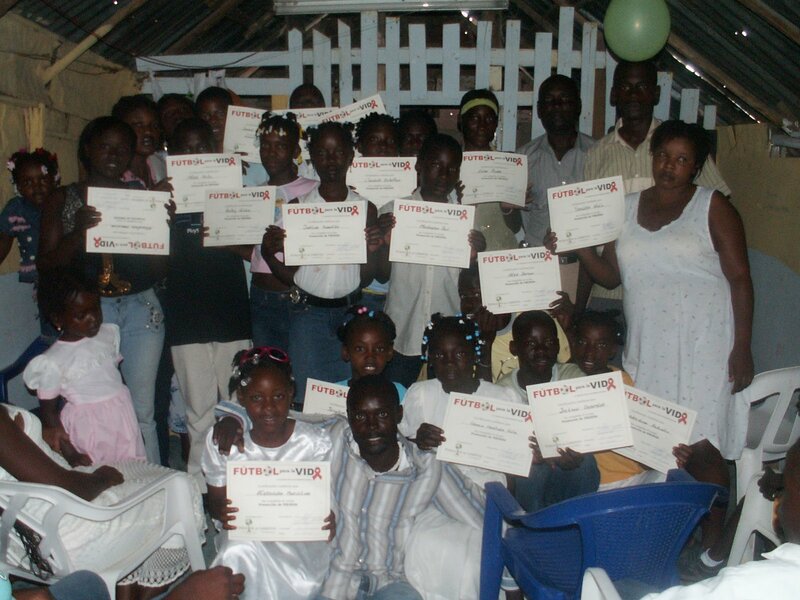 In 2007, nearly 300 youth aged 10 to 18 graduated from the Grassroot Soccer-inspired Fútbol Para la Vida HIV prevention program in the Monte Llano region alone. 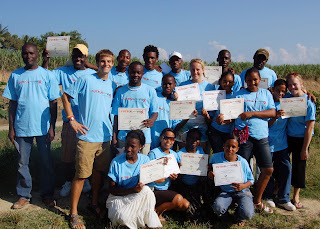 It began in February 2007, when an initial Training of Trainers was conducted in Puerto Plata, where 16 new peer educators were armed with the capacity to train youth in their communities. See the TOT graduation photo. Since, successful programs have been run in Barrio Samán, Batey Caraballo, Batey Cangrejo, Los Algodones, Puerto Plata, La Unión, PanchoMateo, and Muñoz. These are all communities predominantly populated by Haitian families – many with children born in the DR who have been denied birth certificates. Soccer is strong in all these communities, so the program has been well received both by youth and adults. Here is a picture of the community-wide graduation in Los Algodones. Thanks in large part to the hard work of Freddy Jean Piet and Wilfrid Pierre, Monte Llano has become a second hub for the FPV program. Programs are still rolling and efforts are underway to integrate the FPV curriculum into the public schools in Monte Llano.